Most of us parents try so hard to give our kids the best start in life. We may invest in their education, take them to soccer training or teach them how to cook, but somewhere along the way we stuff up. There are those little moments in our busy lives where the cracks start appearing in our ‘perfect parenting plan’ or PPP for short. Sure, we’d love to always say the right thing to our kids but sometimes they just get under our skin even though they are as cute as two boots. There is no such thing as the ‘perfect’ childhood. As much as we try and try and try to be awesome parents, sometimes we just aren’t and I’ve realised that it’s ok if there’s a few moments of ‘reality’ flung in there because it keeps them grounded. Real life will not be such a shock when they’ve had a parent full of flaws, as long as I am humble enough to apologise when I’m in the wrong and as long as I can shake off the ‘perfectionistic parenting’ thing and the guilt that goes along with it. As long as they know I’m trying and that I love them, I can’t ruin them too much can I? On certain days I feel like I’m at the top of the parenting scale; I’m ticking all the boxes, giving my kids the encouragement they need, and squatting down and looking them in the eyes as they tell me the detailed story of ducky and the garden full of bears for the umpteenth time. Ah, yes, those are the good days. But, as with most things, it can turn in an instant and I can go from super-mum to super-dud-mum depending on my mood and spitty-spatty words that somehow just come flowing out of my sometimes careless mouth. And then it’s like I’m hit with an anvil of guilt which hits my head and pounds me into the ground like a hammer to a nail. And it’s a bugger trying to climb out of that claustrophobic hole. As much as I try not to ruin my kids, I know that somehow, sometimes I do hurt their feelings and build horrible walls between us that may last for a moment or longer, I’m not sure. But above everything else I’m just desperately in love with those two little souls and I tell them that every day which, I’m hoping, will cover over a multitude of sins…as they say. Do you have those bad-parent moments as well or is it just me? Fear can be crippling. It can steal your sleep, give you horribly deep worry lines and make you jump at the smallest noise. The worst thing about fear is that it can stop you having a full and enjoyable life and that makes me plain old mad! So, to kick fear in the you-know-wheres I thought I’d give you a list of funny phobias so that we can stick it to fear and not let it take over our lives; bring it into the light and have a good old laugh. It’s not to make fun of people who experience these fears but to give us scardy-cats a little laugh at ourselves and at fear itself! Here are the funniest phobias I could find… is yours here? I wonder whether there are heaps of people who suffer from these fears or only a few? Hmmmm. 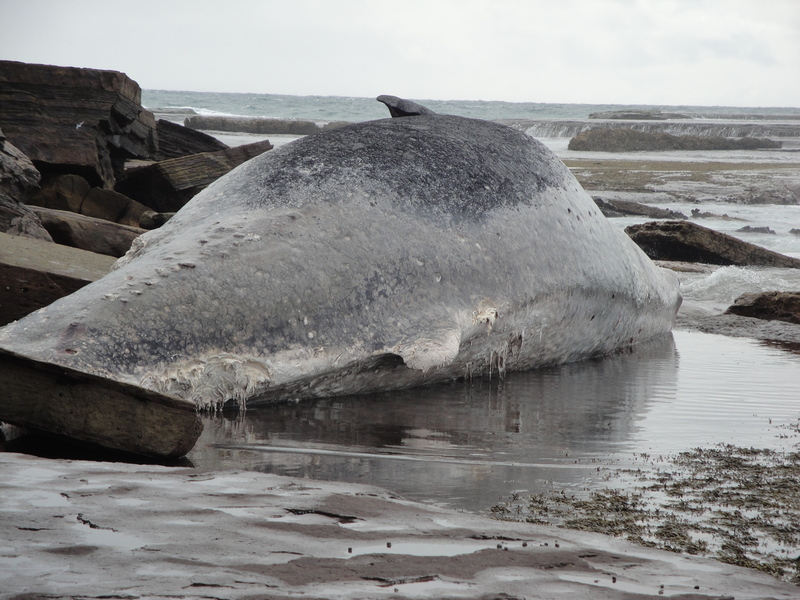 I’m scared of whales… strange but true!!! I’m no hippy but I hate chemicals. And I have very little $$ to spend on beauty so what better way to beautify myself than with natural products. At the moment my hair is driving me crazy; frizz-city! I have straight hair and usually it behaves itself but lately I have been waking up with a natural afro. And not a cool one either. I was sharing this vital information with my friend the other day and she suggested heating up some good old-fashioned olive oil and plonking it on my head for a bit. Pa-ching! A light went on (not sure if that’s the sound of a light or a cash register but anyway). I got on the good old interweb (as we call it in our house) and had a google. My eyes were opened, a revelation swelled in my soul and I discovered that stuff from the garden can help my skin, my hair and even my teeth. So why-oh-why do people spend so much money on beauty products when all they have to do is mush some veggies, pick a leaf or pour hot (warm) oil on their heads?! Mind boggling. For dry hair (MINE! ): Microwave some olive oil or coconut oil then put it through your hair. Leave on for one hour then shampoo it all out. To de-frizz hair (like MINE): Break off the leaf of an Aloe Vera plant and put the gel through your dry old locks. (Haven’t tried this one but I will… you just wait). Hair mask: Mash up whatever fruit you have lying around, add some olive oil or coconut oil. Then plop it in the old hair, keep it on for 30 minutes then wash out. For dry skin: Eat an avocado then rub the inside of the peel on your face. Leave on for 15 minutes then rinse. For puffy eyes: Use a few slices of good old avocado and rest them on your eyes for 20 minutes. Have a little nap then wake up with super smooth peepers. Exfoliating: Mash a banana, add some oatmeal and rub on your face. You can also add honey to oatmeal for a similar but softer option. Saggy skin? Beat an egg yolk and apply to your old sad elephant skin with a cotton ball. Rinse after 15 mins. Peeling skin treatment: Mash some pawpaw and apply it to your flaky skin. Then wash it off after 10 mins. Natural teeth whitening: Strawberries! Mash them, smash them and apply to your teeth. You can also use mashed up basil for this too but strawberries might taste better!!! 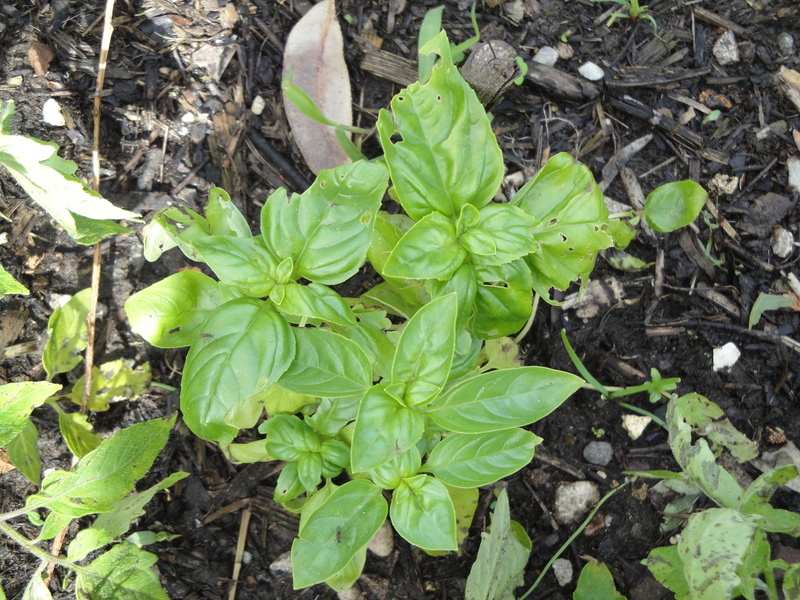 Ground basil has also been used as toothpaste! Go figure. And then there’s cucumber and Witch hazel and Pepto Bismol and Milk of Magnesia. But start simple, get googling and have some fun with these cheap alternatives to those overpriced beauty products. Early morning. Freshly (?) squeezed mango juice and strawberry juice! Oh. My. Goodness. So yum. It made the 5ish am start to the day bearable. Thank goodness for 5 star hotels! After our delicious breaky we headed off to the airport and hopped onto our Egyptair plane. Oh dear. Firstly the flight attendants scared me. Smile people! And secondly they had a camera on the bottom of the plane giving us a great view of the dodgy tarmac. Hmmmm. Sounding like a whinging westerner here but whatever! Up, up, up we went. Then, eventually the scary attendants served us a weird inflight meal: partially frozen muffin (which was actually quite yummy) and a cup-o-tea! It was a shortish trip to Luxor. And after we landed, the whole plane cheered! Fu-neeee. But it was all worth it. This place was incredible. Temples a-go-go! Hardly any tourists. After a day of temple exploring we headed to our boat. Oh bliss! We had to walk through about six other luxurious floating hotels to get to ours. We found our room – just like the hotel we left in Cairo. This is the way to travel Egypt! (Cocky westerner now? Oh well.). Up to the deck we floated and sat there sipping some kind of drink overlooking the Nile! The Nile!!!!! That night we headed back to Karak temple for an exciting (yawn) sound and (yawn) light show. Ooo sorry… flashbacks. It was freeeeeezing cold and the first ten minutes was creepy and exciting. But then it went on… and on… and on! And we both nearly fell asleep. Next day was the flippin’ Valley of the Kings. This place rocked. The tombs were beautiful. The colours of the drawings/paintings were still brightly coloured and well preserved. We headed down into the bowels of the thing and checked out where the poor Egyptian was laid to rest. We heard tales of brains being sucked out the noses, grave robbers and the afterlife. Fascinating… and a bit gross. 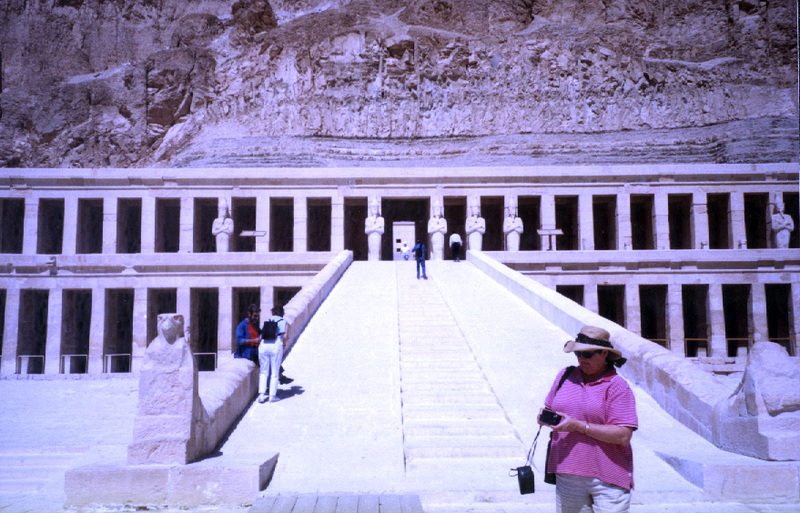 Out we popped and off we went to one of my fav places: the temple of Queen Hatshepsut. This giant temple was built into the side of a mountain. It has a sad history. In 1997 62 people were shot by terrorists so it had an eerie feel about it. But it was also magnificent and awesome. For me, Egypt was full of ‘moments’. And this was one of them. Loved it! After a full morning we headed back to the boat and set sail for Esna. Ah, this was the life. I felt for the poor adventurous tourists in Felucas (small sailing boats) with their lack of toilets or personal space. Imagine if you got the runs on board! Eeeeeeek. The next few days were filled with Nile-side temples, jewellery purchasing (oh why didn’t I buy more? So cheap and lovely) and various interactions with various locals that made us feel a various range of emotions from annoyance to affection. After reaching Aswan we went to a perfumery, had a dance on the ship with our tour guides and headed back to the airport to brave the scary flight attendants once again. Smile and nod. Smile and nod. Hello Cairo with your crazy cars and your millions of people. Hello The Egyptian Museum with your amazing artefacts and floor filled with King Tut stuff. Hello Bazaar and Egyptian Restaurant. Hello taxi driver and hotel again. Hello… where had the Americans got to? After we went to the restaurant our tour guide put us all in taxis (this was not part of the tour so no bus). We all made it safely and way too swiftly back to the hotel except the car-full of Americans. We feared the worst. It was a bad time to be an American in Egypt. Half an hour went by. One hour. Our tour guide was frothing at the mouth. He was furious. Finally the little taxi ambled its way back to the giant hotel and everyone started to breathe again! Crazy times. The tour was over. We said our fondest farewells to our lovely tour guide and prepared ourselves to become our own tour guides in Europe. In countries we had no idea about. In places we couldn’t speak the language. Driving on the wrong side of the road. Um. Yeah. We felt a little apprehensive. But that’s adventure, baby! See you in Paris! Bye. Picture this you’ve been awake for 30 hours straight, travelled 13 hours and spent 10 hours waiting in an airport in foggy London. Add to this 5 extra plane hours full of gurgly foul tummy motions and a single vomit and that’s how I arrived in Cairo! We hopped off our BA flight to be met by our ‘tour guide’ (or WAS he?). Off he tottered with our passports, tickets and tour coupons as we stood dazed in the Cairo international airport. Ding dongs. The first rule of travelling is do not let go of your passport. But there you have it. We were lucky. Our smiling guide strode back with all our things in hand and we were whisked past eager taxi drivers to our minivan. We were off. It was a tense time in the Middle East. Bombs had just started to drop on Egypt’s next-door-neighbour, Iraq the day we arrived and we were not sure what reception us Westerners were going to get. We arrived at our fancy pants hotel and found ourselves staring at a king sized bed, wondering what the dickens it was… ah yes… a bed! We took a quick glance out our window at the glistening Nile and fell into a deep sleep. In the morning we arose with a spring in our step… sort of. We had a down day at the hotel and it was here we met our first Egyptians. The cleaner came in around umpteen o’clock with a smile on his face. I swear I could see dollar signs reflected in his eyes. 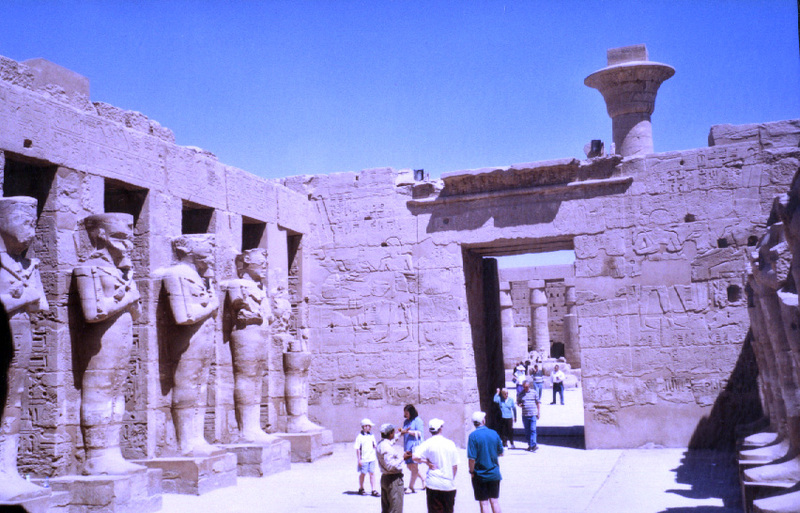 We soon realised that a lot of Egyptians thought Westerners = cash! How wrong could they be!? The poor fella tried everything from us teaching him a little bit of English, he teaching us Arabic to gifts of sandy pyramids and other impractical travelling the world, can’t take home prezzies. Then he brought a friend along for some more English lessons and that’s when we called it a day. We had learnt our lesson. The door gently slammed shut on that chapter. The following day we met our real tour guide and our other fearless fellow travellers. Poor Egypt. Instead of having a full tour of 30 people, our group was down to 8, which was good for us. People were just plain scared to come to the Middle East with bombs and such. Not us! 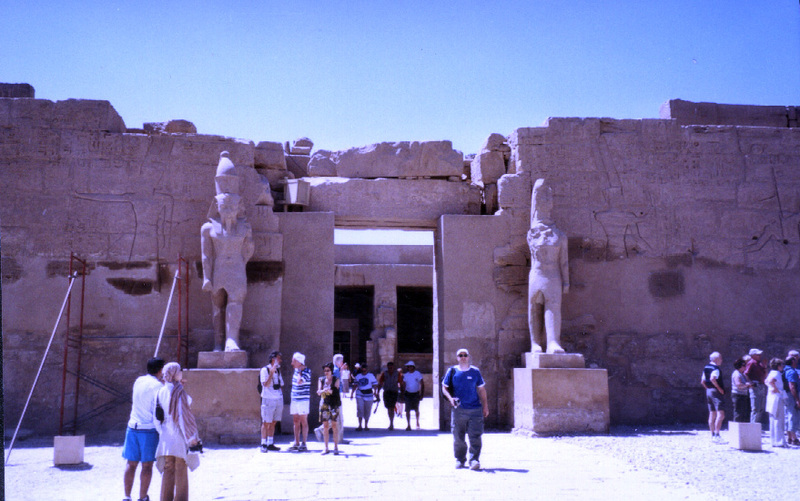 Off we toddled to our first couple of sites: The Pyramids at Saqqara and the ancient city of Memphis. For this part of the tour we had our very own bodyguard with an impressive looking weapon. And this was the moment I embraced the travelling thing and decided to (pardon the Egyptian pun) live in denial (de Nile!?!). I love history so I was not going to cancel this tour, unless something major happened… and it didn’t! 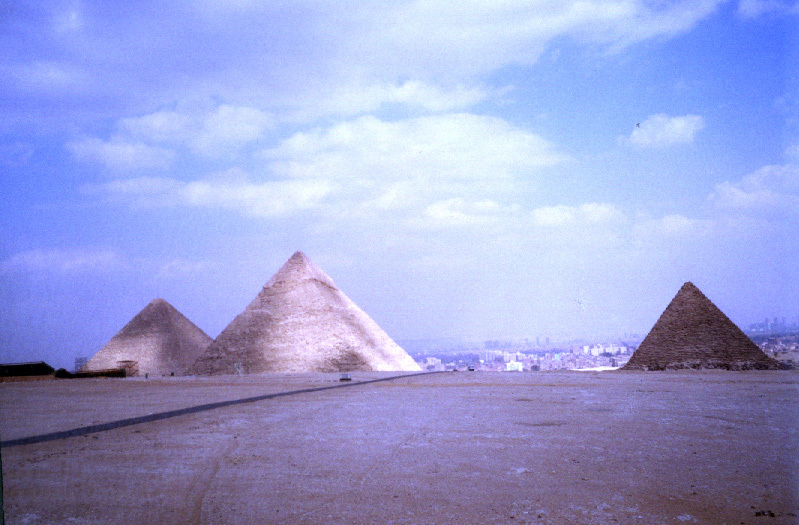 After this we headed to … wait for it… The Pyramids of Giza and the Sphinx (pronounced Spinx in American). This was bloody amazing. Beautiful, old, tall, strong structures. It was awe-inspiring. You have to go! But I must say, the Nile does not flow past the pyramids – that’s just a Hollywood thing peeps. 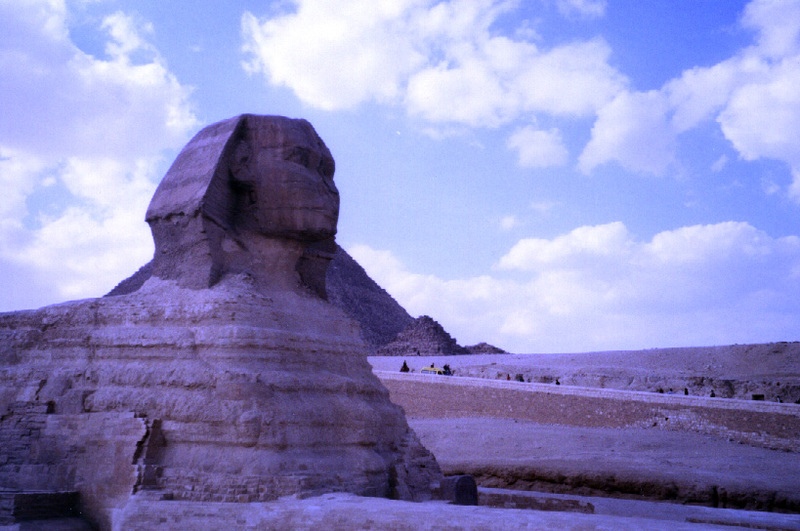 The Sphinx was so special. It was a moment in life I will never forget. Feeling dizzy? Getting confused? Running out of puff for no particular reason? Me too… I think. The whirr of life can make your head spin. ‘Round we go; another Tuesday almost done. 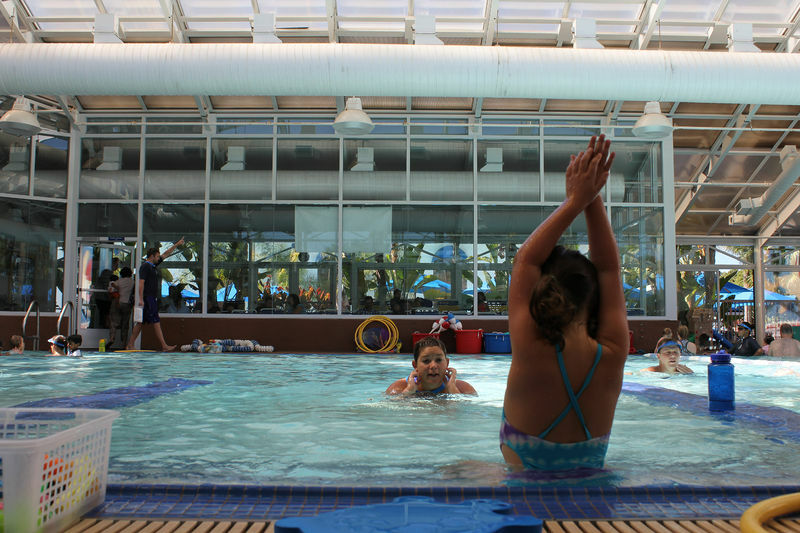 Days filled with swimming lessons, soccer practice, lunches, dinners, crunch and sips’… endless stuff… and then there’s the holidays. I love the holidays. But they, too, have their own circular motion. Here we go aaaagaaaiiiinnn! Spin! 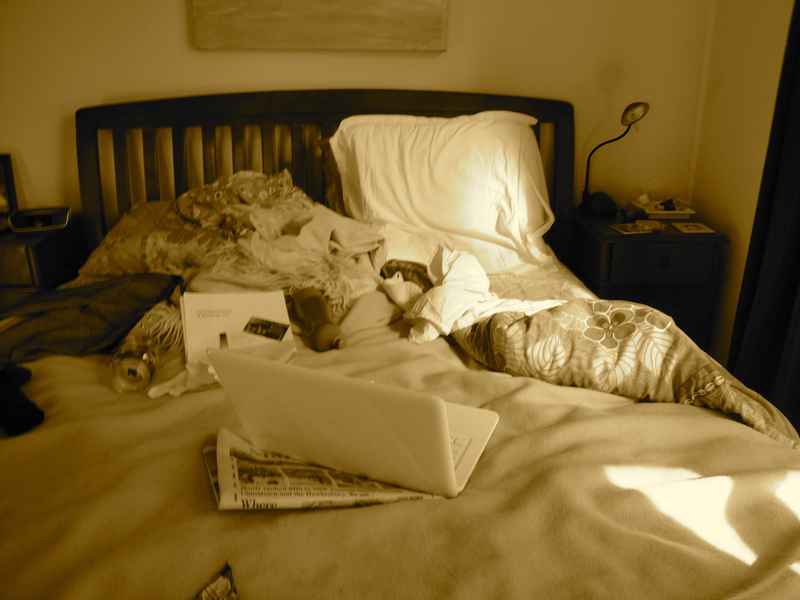 Sleep in late! Tough life. Watch a movie, make-a-tha-lunches, book in the cousins for a play, stay up late. Jeepers, it’s like we never stop. But that’s life and it’s a great life. I love watching my kids grow up! I love that they still want me around (except when they’re playing some serious Lego and don’t want me to hear it). Yesterday my son asked my daughter who her best friend in the whole world was…are you ready for the answer…? She said, “Mummy!” Oh my goodness, stamp it, frame it and hang it in my bedroom why don’t you! Sweetest thing ever! I love seeing their eyes sparkle with knowledge. Sounds a bit strange but I swear I can see them growing through their eyeballs. The light that grows in them as they grow is delightful. They grow in confidence as they grow in knowledge and they just love knowing more than their parents. And I love being ignorant! I love their sweetness in their cuddles. I love that they still smell like babies, even though they’re both kids now. I love that they don’t smell like teenagers (no offence teens but that’s why people invented deodorant and air freshener). I love their lack of fashion sense: my daughter wore old tights with a sparkly singlet and and aged dress-up skirt to a party last week. Oh, with sparkly bangles too! Can’t forget that! Ah how our heads spin with our never-ending ‘To do’ lists but look at what we get in return. Love! Magnificent, frustrating, incredible and unconditional love! You cannot buy such things. It’s so funny that women have a sort of elegant reputation… mostly. That we’re little princesses, sweethearts that, for the most part, enjoy a gross-free life. Well, shock horror, it’s not true. So if you are of a sensitive disposition, I would recommend that you stop reading now, because things are going to get gross! Farts/ Toilet smells – No. Our farts do not smell of roses. Our faeces do not smell like a fresh baked cake. We are human. Even the Queen has smelly gas. It’s just a fact of life. Although, I must say that my daughter seems to be a lot less smellier than the rest of the family. Perhaps she is a ‘true’ princess! Hairy McClary! – Without the humble razor, or less humble wax, most of us silky smooth ladies would be a pile of gross black hair. We’d be a lot more smelly too; surprise, surprise. Our legs would be soft and fluffy, great for those winter days when you feel like wearing a skirt as there would be more insulation. Bald legs are a funny invention. I understand the reasons behind shaved armpits and nether regions, but why the legs? Any hoo. If the world ran out of razors and wax today, we would be left with a whole bunch of fluffy women, cos we’re not born bald. Luscious lips and dark sultry eyes – We do not all have eye slapping lip colour or perfect lip shape. We are paintings of our real selves. Isn’t it a shock when we see photos of celebrities without make up on! How normal do they look? It’s all because they are people, not gods. They only look incredible because of professional make up and hair peeps oh and photographers! It’s unrealistic. Yet we cake on the make up, draw on our eyes and puff out our lips to lift our confidence, to have a bit of fun or to join in with the other millions of women in the world doing the same! Dangerous drivers – no we’re not! Some of us can park cars quite successfully. We can point the car in the right direction and get from A to B without annoying anyone or causing an accident. We can drive the speed limit and zip in and out of traffic, legally! We are not generally risk takers, that’s all. We’re mothers and daughters with more on our minds than our egos and most of us are darn good drivers! Emotional & Irrational – Myth! Ha ha. Ok, well, maybe not this one. Most of us wear our emotions everywhere. Tears will flow, brows will frown, laughter will soar, it’s just how we’re built. We can be irrational creatures but most of the time I think we’re a lot more emotionally intelligent so our ideas may just be more sophisticated… not irrational. We read into things that others don’t. We imagine things that sometimes aren’t there but could be! And we rehearse conflicts or conversations in our heads that will probably never happen but at the end of the day, like the Scouts proclaim, it is always essential for survival, to be prepared! Nagging – This is a pat description of a much deeper thing! Nagging only occurs when people don’t listen or when they don’t value what you have to say in the first place. It comes from frustration and feelings of insignificance. It’s not just bossy boots behaviour. There are deep reasons for such annoying behaviour. So if you listen in the first place and respect tha wo-man! then you won’t get nagging. Simple as that! So, to summarise. Women are really smelly, hairy, colourless, thin-lipped, great drivers, emotional but highly intelligent and in deep need of respect! Would you agree? Twas the time before children, and all through the house not a young adult was sleeping, they were leaving their house. They had packed their backpacks with care, in the hopes that it would carry their things with great care. Rhyme over! Yes it was 2003 and we were off on our first overseas trip. First stop was Hong Kong to visit my lovely sister in law. I have always been a slightly nervous flyer and as it was taking a long time to take off, I said to my hubby, in a shaky voice, “This is a long taxi” and he came back with, “No it’s not, it’s an aeroplane!”. He thinks it’s the funniest thing he’s ever said but I say, it was, now it isn’t. Moving right along. We land in sunny Hong Kong to be greeted by my smiley sis-in-law! We sit, drink and catch up then catch the bus back to her home on Lantau Island. Dooowwwnnn the narrow, winding roads in the darkness. But I wasn’t too concerned. This was only the first part of our 5 month adventure and I was determined to enjoy every bit I could! We arrive at the apartment and go to sleep. The next morning, after we have slept like the dead, we join a group of 12 of S.I.L’s friends eating YumCha for breaky! When in Hong Kong. It was the best, cheapest breakfast ever! Everything was delicious except for the chicken’s feet that had nice tasty skin but then there were these weird bones. Didn’t know what to do with them so I just had a little gnaw and a giggle and plopped them on the plate. Then off to the city – the zoo (sad little place with green concrete for the apes to roll around on!) and then up the peak of a kind of a tram! A beautiful day in Hong Kong. The next day was a touristic romp through museums, towering skyscrapers with bamboo scaffolding (eeek) and finally our feet found rest when we had High Tea at the Royal Garden Hotel. 3 hours of food: dumplings, pastries, salads, antipasto, scones, pancakes, donuts, coffee and ice tea! Take me back!!! When we headed back to the ranch we participated in a refugee simulation. We walked around the streets of Lantau, our only guides speaking to us in a foreign language. We didn’t know where we were going or when we or what we would eat. It was a powerful experience run by the incredible team at Crossroads International (http://www.crossroads.org.hk/). We ended up eating on the floor of a small room, all jammed together. The next day I began to get silly. SARS was all around us. People were paranoid so I decided to join them. I had cut a piece of sticky tape (for my travel journal) between my teeth and some of it was stuck in my throat. So I started to cough, as you do. Then I was convinced they wouldn’t let us on the plane because of my sticky tape cough. Oh dear. Silly, silly me. The next day we worked at the Crossroads warehouse then headed into the city for some Egyptian food with S.I.L. We were due to fly out later that night and they actually let me on the plane with my sticky tape cough! Phew!!! It was a great start to our trip and I can’t wait to go and visit again. This time with the kids! If you ever want to do something to help your fellow man, the poorest of the poor, check out Crossroads. They are always looking for volunteers with a variety of experience and skills, long term or short term! Go on, have an adventure! Next time, we head to Egypt!